"We have three livery spaces available at the moment"
We provide a variety of livery services for adults teenagers and children.We have full Care& Custody insurance. 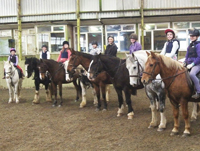 The riding stables holds a licence issued by Mid Devon DC which requires a yearly inspection. We live on site and have staff on the yard, during day times, and evenings until 9pm four night a week, the telephone is connected to the house and the yard so it should be possible to contact us should you need to at short notice in an emergency. Liveries have free use of large all Weather arena. All year round turn out paddock. Quality grazing, winter haylage is made from the farm or purchased from very local neighbour. Quality instuction on site if required. As above but with flexability to suit your needs , we can do as many or few of your chores as you wish, including exercise. 24 hours notice prefered, but late notice emergencies not a problem on most occasions. £115 per calendar month, extra's charged per task. 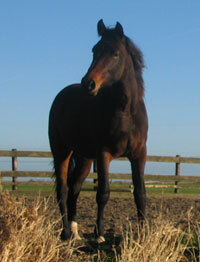 Includes all stable tasks, feed and bedding included in price, concentrate extra, shoeing vets extra. You are welcome to do as much or little as you wish to the looking after of your horse with the reassurance that if you are not there we are. Free use of indoor school - if not in use - Can be hired if required. Free use outdoor floodlit all weather arena. Horse walker. 24 hours notice of riding prefered, but late notice emergencies not a problem on most occasions. Charge as above, riding extra charged per ride. 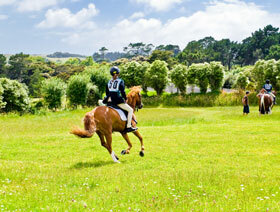 We provide general schooling for all sizes of horses or ponies, or the schooling can be tailored to a specific problem. If you feel none of the above quite fulfill your needs. 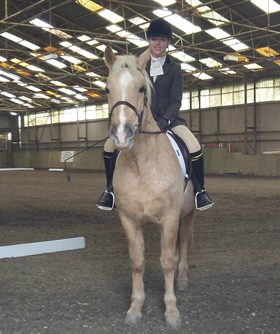 Perhaps you require cover for holiday, short term emergency, injury recovery, your horse requires a walker, or access to an indoor arena, please ring Chris or Jane we will try our best to provide the service you require.